I have worked with CDL for the offsite storage of NRC’s archives holdings since November 2015. I am delighted with the services carried out so far. 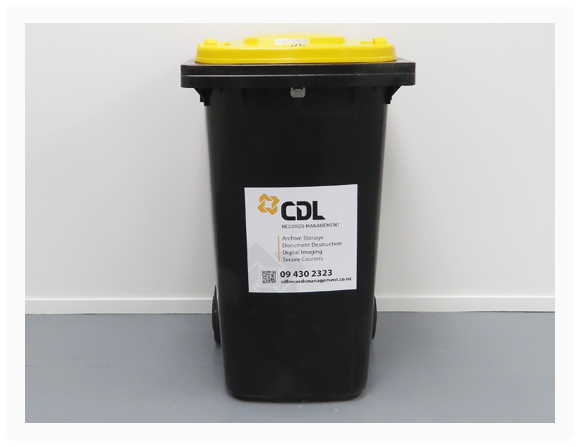 CDL understands the standards we require and are most efficient in delivering well these services – secure and purpose built facilities, archive box/file retrieval and delivery; and their online document solution works really well for us. I would highly recommend working with them. Whether or not you are aware of your legal responsibility, experience shows us that most offices lack the resources on-site to be able to ensure sensible document management and record storage. Becoming the solution to your data storage problems, CDL Records Management is here to help with our professional document storage service. Highly specialised, we will collect, organise, index, barcode, store and manage all of your documents at our secure facility. No document storage project too big, we make the process of document archiving seamless. Once your documents are stored with us, you gain access to our Client Web Server. This allows you to take advantage of our fast and secure retrieval service, requesting deliveries and collections 24/7. Additionally, you can also access our document scanning service, Scan on Demand, which provides immediate access to files online, whilst cutting down delivery costs. CDL Document Solutions advanced records management software includes a supplementary tracking system, enabling clients to track orders throughout the entire document storage process. No document storage project too big, we make the process of document archiving seamless. A vital component of our comprehensive document management service, tracking ensures clients always know the exact location of their stored items and helps us to operate transparently. The allocation of a unique barcode to clients’ documents enables us to scan and record every movement through point-to-point tracking. This custom-built system allows us to create an auditable history of archiving documents, which ensures they can be located instantly. Providing access to our Client Web Server, clients are able to monitor this auditable trail through transportation, storage and retrieval, efficiently managing their off-site storage. Even after an item has been destroyed, a full movement history is available on our records management software. Do you know that if access to a Will is delayed, the extended legal process prolongs emotional trauma and financial suffering? Are you aware that if you lose your property deeds, you will incur additional solicitor and Land Registry fees? Are you willing to postpone the sale of your house and risk your sale falling through? Legal documentation is important across all aspects of our personal and business lives, which is why secure document storage is essential. A legal document becomes immediately invalid if tampered with or defaced in any way, so you need to ensure yours are kept safe and accessible. Whether you need to store wills, shares certificates, a life insurance policy, property deeds or more, we are a reputable storage company who understand the necessity of taking a few simple steps towards safe document file storage. With our fire-proof vault, we offer a secure location, optional electronic back-up and most importantly, peace of mind. As an expert in the document management process, we understand the importance of being able to retrieve files quickly and easily, which is why we provide a unique confidential and secure scanning service. Retrieving the hard copy file for you, our paper document scanning expert, uploads the file to our secure Client Web Server, which allows you to view, email or print your file at your convenience. Our fast digital retrieval service enables you to have swift information access, without the hassle and clutter of handling the files. If you require a file, we use a document scanning system, to provide you with your document online via our secure Client Web Server. 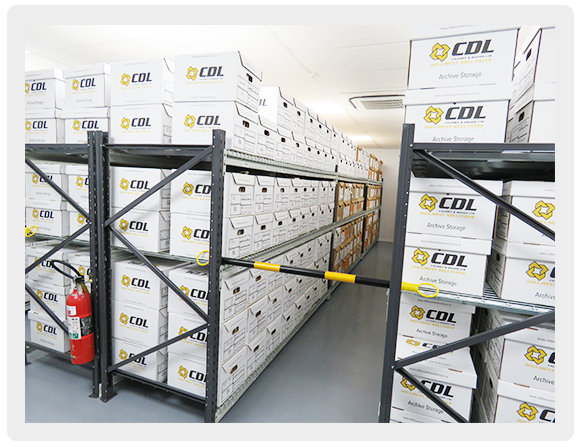 CDL Records Management is committed to the highest level of secure document storage, protecting clients’ records through the entire information lifecycle. Beginning with document archiving, this continues through to the final stage of the lifecycle, secure data destruction. Experienced in secure disposal, our confidential destruction service ensures we record the destruction dates of your documents on our system, proactively notifying you when boxes or files are nearing the end of their retention period. Understanding the level of responsibility involved in confidential waste destruction, all material is and sent for recycling. We also issue you a detailed Certificate for Destruction for your records.